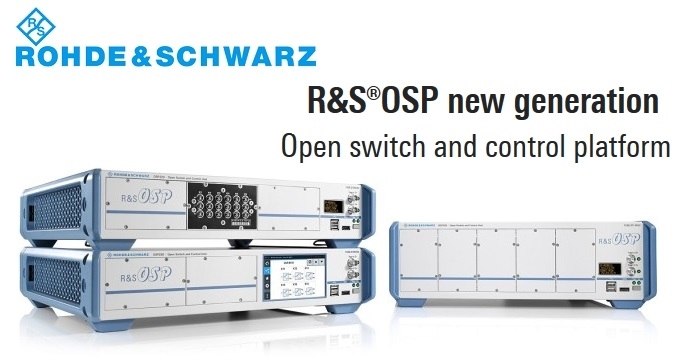 Rohde & Schwarz has completely revised the hardware and software for the new generation of the R&S OSP open switch and control platform. The platform is now optimized for more modules and even shorter switching times. The R&S OSP allows users to combine a wide variety of switch and control modules to form a cost-effective, customized control center for their test setup. The new R&S OSP platform supports the previous platform's modules. 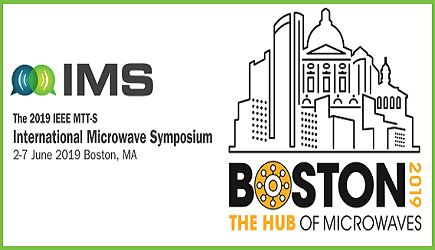 Test setups for new technologies such as 5G and state-of-the-art radar technology require switch and control technology with large frequency ranges and short switching times. To meet this requirement, Rohde & Schwarz has completely revised its platform and now presents the new R&S OSP220/230/320 units and the new R&S OSP-B200S2 satellite box. The R&S OSP units offer five, six or ten module slots on the front and rear panel. The new generation offers special features such as the optional R&S OSP-K100 trigger function. Hardware-based switching of predefined paths is possible using the external trigger inputs and outputs. This allows users to reduce switching times even further compared to a LAN based trigger. Such short switching times are necessary, for example, to trigger the high-speed solid-state relays in antenna arrays and radar modules. The R&S OSP320 provides an additional digital address input on its rear panel for direct triggering of predefined paths. Users will appreciate the new web interface that gives them full control of the platform. Separate software is no longer needed to configure an R&S OSP. The display automatically adjusts to the size of the screen. If the controlling PC has a large monitor, several switch modules are displayed at the same time. This provides a clearer overview of complicated interconnections. Path control allows users to combine the relay switches of one or more R&S OSPs to define paths. These paths can be preconfigured in virtual mode without having all devices and modules available. The new R&S OSP product family starts with the three R&S OSP220/230/320 units. These units offer five, six or ten module slots on the front and rear panel. Customers can decide themselves where to place the cabling based on their specific requirements. The module slots can be combined to form larger application-specific modules. Since previous R&S OSP modules can be used with the new R&S OSP generation, a comprehensive range of modules is available, including RF relays, electromechanical coaxial relays up to 67 GHz, solid-state relays and digital I/O and multiplexer modules. Customers can use the new switch and control unit as a desktop model for lab measurements or as a control center for complex rack-based test systems. Over a LAN, several R&S OSPs can be combined using a master/slave configuration to create a complex switch network of 20, 50 or more relays. The compact R&S OSP-B200S2 satellite box enables remote operation, for example, in a shielded test chamber. The satellite box moves switch and control tasks closer to the DUT or the antennas. This reduces the number of long RF cables, improves the RF performance of the setup and saves money. Depending on the application, the satellite box is triggered using a serial electrical bus cable or a fiber-optic connection. The new generation of the R&S OSP switch and control platform is now available from Rohde & Schwarz and is being showcased at their Booth at electronica 2018. Click here for more information on the R&S OSP Platform. Click here to see everything RF's coverage of Electronica 2018.